At Curious Puppies we have been so lucky to get the opportunity to experience so many different types of dogs; our favourite so far being a litter of American cocker spaniel puppies for sale. 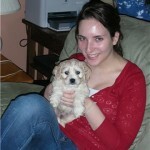 Over the years, we have really fallen in love with the cocker spaniel puppies that we have been able to love. Of course, our own cocker spaniel Georgia was one of our cocker spaniel puppies for sale, and we totally fell in love! Cocker spaniel puppies are so loyal and loving; such great companionable dogs. We had other cocker spaniel puppies for sale as well, but there was just something about Georgia that really captured our hearts. She would follow us around and constantly watch what we were doing and be right by our side. Other cocker spaniel puppies for sale had similar personalities as that is something quite common with the cocker spaniel breed. 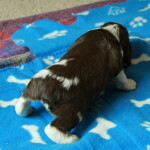 If we don’t have any Cocker Spaniel Puppies for sale at the moment you can join our Waiting List! 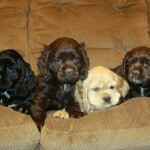 True cocker spaniel puppies for sale need to be well socialized with children, pets, and regular noises from an early age to prevent them from being too skittish later in life. 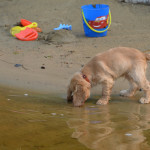 Cocker spaniel puppies should not be left alone for long periods of time, and do not like to be left alone in a backyard or indoors alone for extended periods. The cocker spaniel is known for the perpetually wagging tail and their happy and easy-going personality. 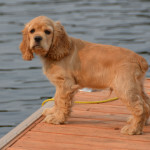 Cocker spaniel puppies should never experience harsh or rough training, raised voices for training, or anything that could hurt their sensitive nature. 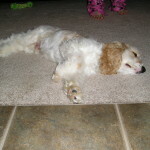 They want to please and are quite content to accept all the praise their owners are willing to give them. 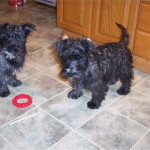 When looking for cocker spaniel puppies for sale, you will need to decide if you are more interested in the look and personality of the American cocker spaniel puppies for sale, or the English cocker spaniel puppies. There are some differences in the look, including the shape of the head, nose, eyes, their height and their weight. 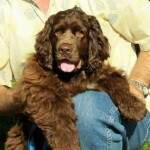 In general, the English cocker spaniel will weigh more and be slightly taller at the withers than the American cocker spaniel. 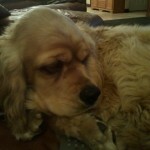 The English is also ranked slightly higher for intelligence and training than the American cocker spaniel. 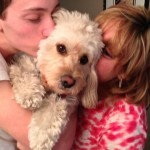 Both make excellent family pets and when raised well, are incredible with children as well. 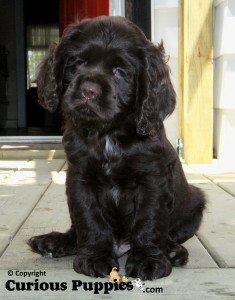 When properly bred and raised, cocker spaniel puppies should never be agressive. 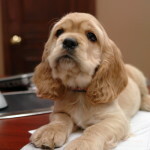 Cocker spaniel puppies are estimated to have a 10-12 year life span, so be sure that this decision is a commitment you are willing to make. 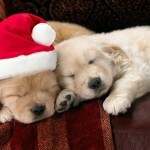 So many people have fallen in love with cocker spaniel pups for sale from the adorable faces or photos they have seen. 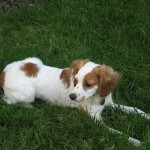 However, due to the nature of their shedding, purebred cocker spaniel puppies for sale are not always an option for many people. Poodles are one of the most common dogs bred with a cocker spaniel. 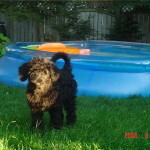 Known most commonly as a cockapoo or cockerpoo, this cross often has less shedding of the hair and dander that is common with cocker spaniel puppies. 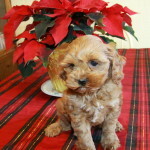 Those suffering from allergies can still enjoy the look and personality of cocker spaniel puppies for sale when they seek out the right cockapoo puppy. 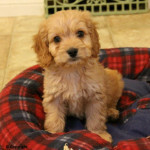 For this to work, there are a few general rules to check out first before buying cockapoo puppies that are claimed to be safe for allergies. Usually the curlier the hair the better-the more the cockapoo takes after the poodle parent, the more of the helpful traits they may carry. 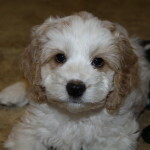 Spend as much time as you need while visiting cockapoo puppies for sale. Don’t be in a rush! Rub the hair to check for shedding, dander loss, as well as possible reactions. 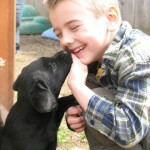 Rub saliva from the puppy on your neck to check for saliva allergies as they differ from dander related allergies! 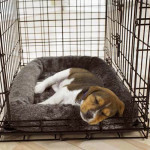 Cocker Spaniel puppies will make the most wonderful addition to your home when you make a well-informed decision before buying cocker spaniel puppies for sale. This is a long term commitment, not a decision to be taken lightly. 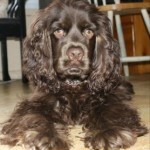 Cocker spaniel puppies will not do well to be rehomed as their temperament is very sensitive. 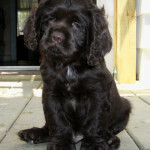 Whether you buy an English or American cocker spaniel puppies for sale, be sure to do all the research ahead of time. 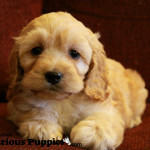 Beware: once you start looking at cocker spaniel puppies for sale, you are bound to fall in love with this wonderful breed!